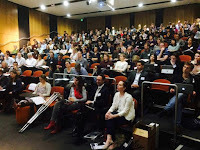 Professor Mark Fitzgerald gave Central Clinical School's 5th annual lecture, on innovative systems of trauma care. Mark has had a lifetime's experience as an emergency physician working in what's known as a 'decision-rich' environment, where decisions have to be made rapidly on the basis of often incomplete and certainly dynamic information. Mark heads the Alfred's trauma service and also the joint Alfred-Monash National Trauma Research Centre, and has developed software to assist with that process. Professor Robyn O'Hehir, CCS's Deputy Head of School, MCed the event. The video will be released soon on the CCSMonash youtube channel. CCS staff & students can see details of both public and local events (including professional development courses, trade fairs and Graduate Research Student calendars) and deadlines, at the Intranet's Announcements page. Various departments have their own calendars. 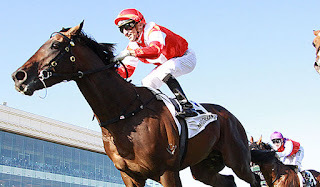 Gaspari T, Brdar M, Lee HW, Spizzo I, Hu Y, Widdop RE, Simpson RW, Dear AE. Molecular and cellular mechanisms of glucagon-like peptide-1 receptor agonist-mediated attenuation of cardiac fibrosis. Diab Vasc Dis Res. 2016 Jan;13(1):56-68. doi: 10.1177/1479164115605000. Epub 2015 Sep 25. 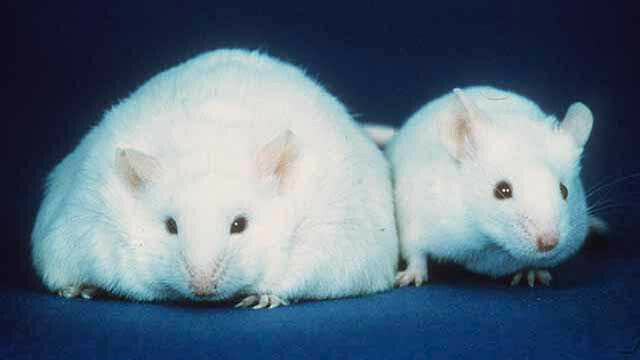 Immune system function is impaired in obese mice. In 2010, the Department of Immunology at Monash University held a competition encouraging post-doctoral researchers to “think outside the square”, challenging them to design a project outside conventional thinking and their usual area of expertise. 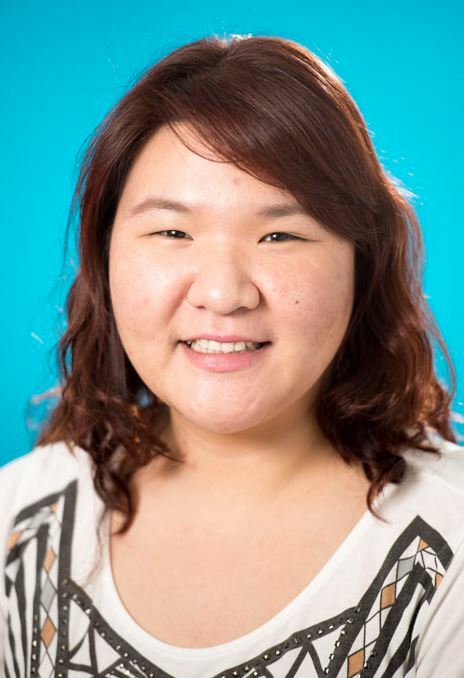 That competition, with a prize of $10,000, mushroomed into an NHMRC-funded project employing two post-doctoral researchers and two honours students. It culminated in 2016 with a paper reporting on the influence of obesity on allergic asthma – and some unexpected findings. The Department of Anaesthesia and Perioperative Medicine at the Alfred and Monash University conducts large, independent Phase IV clinical trials to test the efficacy and safety of commonly used drugs. These ‘investigator-instigated’ or ‘public good’ trials are pragmatic, low-cost and carried out independently of drug companies. As part of the trials, researchers report adverse events (AEs) and serious adverse events (SAEs). But the department’s researchers say ever-increasing and complex requirements from sponsors and ethics committees to report AEs and SAEs are duplicating reporting, thereby burdening researchers and causing a decrease in the uptake of research. Infectious Diseases inaugural course a runaway success! 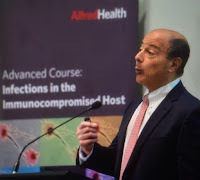 The Department of Infectious Diseases at AMREP has for the first time offered a course on infection in the immuno-compromised host. 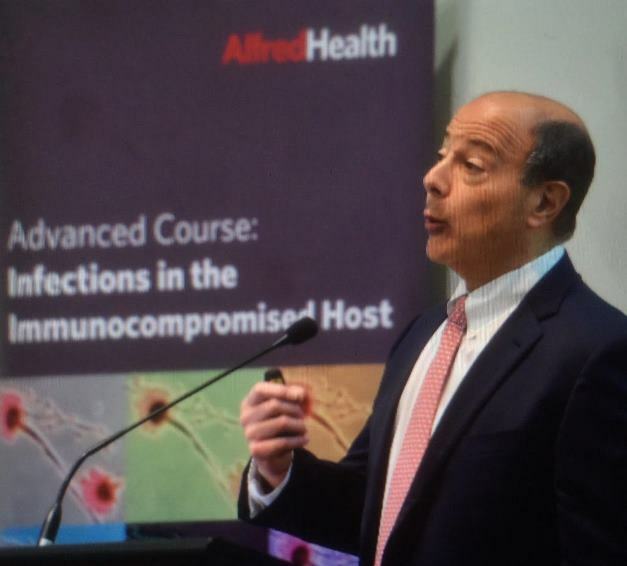 The course was born of the infectious diseases physician-researchers' clinical experience of managing immuno-compromised patients, including those suffering from cancer, those who have had transplants, and those taking monoclonal therapies, and the need to incorporate the most recent research findings into patient management. The course was endorsed by the Australian Society of Infectious Diseases. We'll be publishing further highlights and more detail about the course, as it's planned to be run again in 2018. This year's was fully subscribed with 200 attendees and a long wait list. Congratulations to Mr Varun Sood on receiving the Vice-Chancellor’s Award for Exceptional Performance by Professional Staff 2016! Well done Varun. 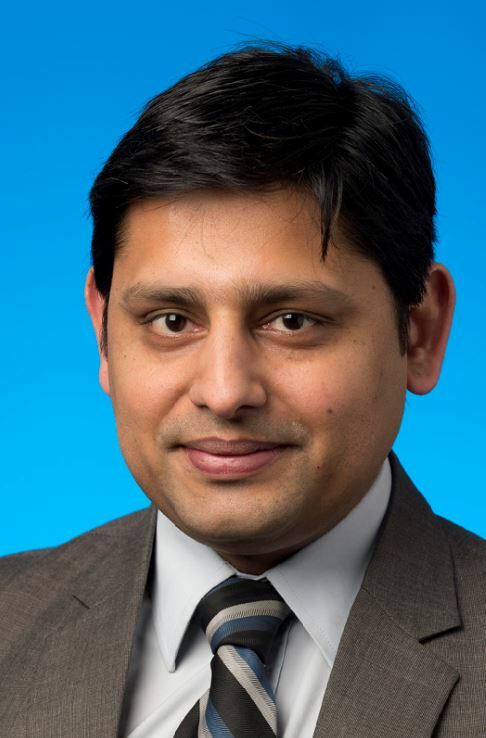 Varun is Finance Manager including Financial Planning & Budgeting for AMREP, including both Central Clinical School and the School of Public Health and Preventive Medicine. 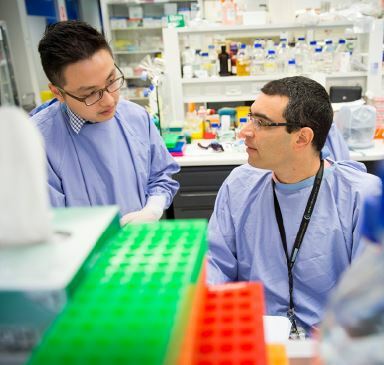 You can support Dr Shiva Akbarzadeh, Senior Research Fellow in our school working on synthetic skin to heal burn wounds, to raise money for the Asylum Seekers Resource Centre. She is going in a 10 km run this Sunday (16 October)! Enjoy a day at the Races and help The Alfred Hospital by volunteering to help on any of the following dates. 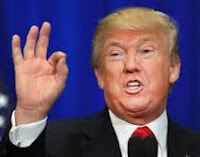 Volunteers wanted for the following 3 dates, especially 15 Oct.
Donald Trump: "Just the best" - really? An axiom of communication is that people tend to take others at face value. If you say you're good, people will believe you, despite evidence to the contrary. If you say you're good twenty times over, they are even more likely to believe it. Is it possible to have too much of a good thing? Check out the piece below (courtesy http://imgur.com/BYn8rVv).